Niagara Falls is getting all-day, two way GO train service in 2023. Why not London? Niagara Falls lobbied hard for all day GO train service when it became obvious that the QEW highway could not cope with growing traffic resulting from massive residential and tourism growth in the Niagara Peninsular. Federal cabinet cuts to VIA Rail services in 2012 effectively removed all but one train to and from Toronto, ironically Amtrak’s “Maple Leaf” New York City service. And its schedule is of little help to commuters. Fearing that frequent gridlock and closure of the QEW would damage Niagara’s economic prospects, local business and municipal leaders pressed the Province to improve rail services. It was a long fight with many political obstructions erected by the Province while Ottawa took a hands-off approach. But, with no other viable excuses and an escalating congestion problem, the Province agreed to extend all-day, two-way GO trains to Niagara Falls albeit on a protracted timeline citing “technical issues”. Ideally, the Toronto-Niagara service would have been a candidate for high-speed rail as Hamilton’s Mount Hope Airport has been identified as a relief airport for Toronto Pearson and would require a fast connection to be viable. But a high-speed route would have been very costly and technically challenging because of the Niagara Escarpment and Hamilton-Wentworth’s almost unchecked urban sprawl. So, the GO train was the best option for Niagara. But, in 2014, when the Province had announced its interest in high-speed rail, it already knew that a new line to Niagara was too difficult because there was no available corridor that included Mount Hope airport. They looked at other possibilities and Toronto-London was chosen as Ontario’s “me too!” route to join the international high-speed rail club. “Me too!” is no justification for ignoring the options of enhanced GO train or improved services currently offered by VIA Rail between Toronto and London. Toronto to Niagara Falls and Toronto to London are not dissimilar in distance, so where’s the problem? Perhaps it’s only in the mind of provincial politicians who see advantage in something that’s shiny, new, impractical and unaffordable. But Ontario taxpayers are growing nervous about the provincial debt and the burden it places on future generations. 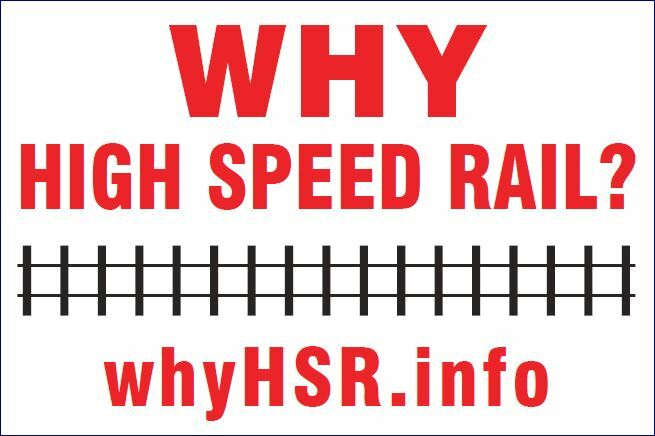 Increasingly, they know that passenger rail solutions other than high-speed rail are the way to go. And they need to be delivered quickly because, like the QEW, Hwy 401 congestion is rapidly worsening.